Strings are the structural members of a staircase which run longitudinally from top to bottom, generally they are at the sides of a staircase and provide the main structural strength of the staircacse. 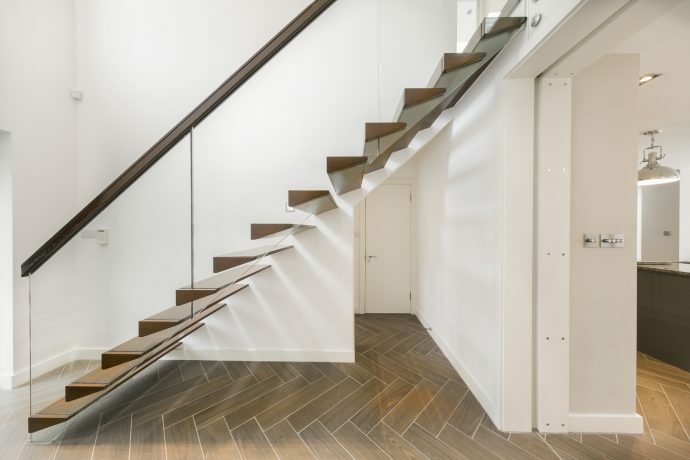 Standard Strings can be used in conjunction with all types of Treads and Risers allowing a variety of styles to be achieved from traditional through to modern. Cut Strings allow the profile of the Treads and Risers to be seen from the side of the staircase. Depending on style of tread and riser used both classic and contemporary styles can be achieved. This is a modern twist on the cut string style. 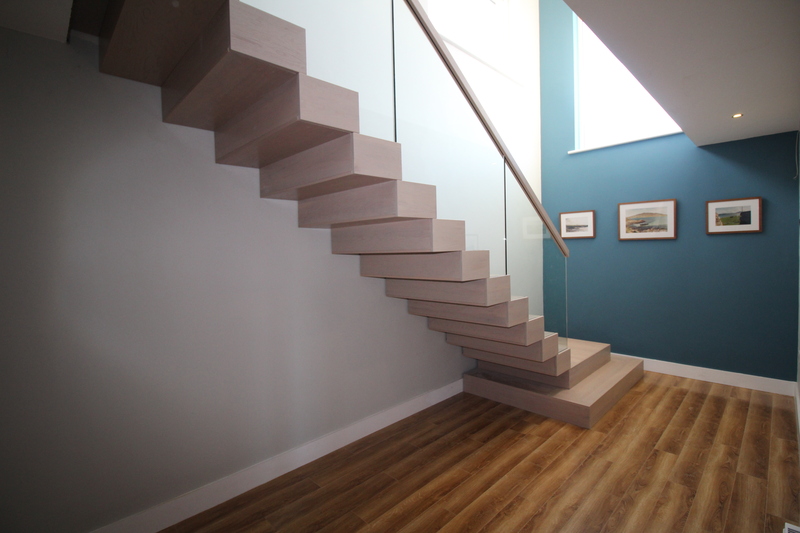 This modern style stairs can be constructed in both timber and steel. 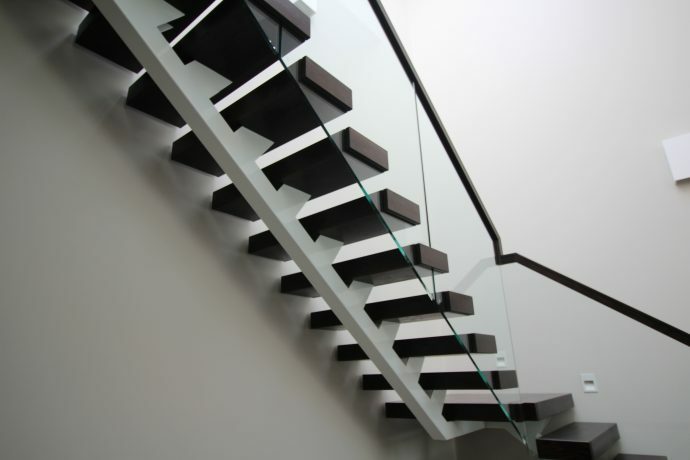 Also known as floating stairs or floating tread staircases these modern designs are the ultimate in minimalist construction.